Seriously. Now that we have been using the request tracker for quite some time, it’s even more obvious that the DSA team is not up to its task. Use login “guest” and password “readonly” if you want to check the RT tickets linked in this article. Want to help and seek input from DSA? No response. Want to help and you provide patches and/or solutions? Many are still waiting. New alpha machine? No movement despite the fact that we still have no DD-accessible porter machine. Note that myself and Matt do not have the needed rights to fix most of the tickets, so we provided help on a best-effort basis. Otherwise we would have done more. It’s a multi-level problem. Each of the members has some problems with one or more other members. Joey’s behavior has been part of the recurring problems mentioned: he doesn’t use the RT, doesn’t read the DSA email alias and doesn’t follow the DSA IRC channel but he still does stuff very regularly without reporting anything and obviously problems happen. Ryan and James tried to impose him a rule to document what he does, without success apparently. On the other side, as far as I know, Ryan and James also don’t impose themselves to document everything in a central changelog. Joey has refused to provide me an explanation for his behavior. He just reminded me that he holds grudges against James and Ryan because as ftpmasters they didn’t cooperate well with him while he was stable release manager. In general, outside of all personal griefs that they might have, the DSA members do not communicate very much (at least not on their own official channels). Some examples have already been given concerning the request tracker, but it’s not much more effective on IRC. Most of the traffic on the channel is made up by local admins fixing the problems themselves without any intervention by any DSA. I also use the channel to regularly ping some DSA about simple issues and/or stuff that they usually handle. It used to work somewhat but lately fil has been busy (with the kernel summit and other conferences) and I simply got no answer at all… for example I pinged elmo, neuro and fil several times in the last weeks in the hope that they handle the tickets of the security team (#150, #157, #164) without results. A long time ago in a galaxy far, far away, Joey and elmo were friends. It’s even Joey who gave root rights to elmo. Nowadays, it’s rather James that is sort-of leading the team but he’s fed up of the situation and hasn’t managed to get out of this mess. He refuses to take drastic measures by himself because he’s not clearly the leader and doesn’t solicit a decision of the Debian leader (or the project) because he believes that the DSA team is not under the scope of the constitution! This can’t last any further. We’ll have to do something about it. Stay tuned. Good luck improving things. Can I interest you in some fire-proof undies and a brass neck? 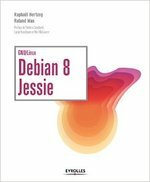 Debian has excellent technical people, this is undisputed. The real problems arise from issue involving human relationships and work styles. Debconf, I expect, provides some relief from tensions that arise from computer-mediated communication and venues to implement long-discussed improvements which address some sources of tension, which is a good and needed thing. Issues of power, trust, accountability and the like are hard to address across a town, village, or ocean. But these issue are not isolated to Debian. Maybe a Debian picnic with a nice baseball or football game in the time between Debconf? Kevin, thank you for your comments but (here exactly like on debian-devel) they always are some generalities that we’re all aware of… and through this you make assumptions that you shouldn’t. For example, I was at Debconf this year, and James Troup was as well. And we met and discussed together with our DPL. The meeting was very friendly and the outcome looked like positive at that time. However, the discussion was not followed with many acts and this explains my critical stance today. This is something that I read about again and again, year after year from mailing list posts by various debian developers: These few people in key positions in Debian who repeatedly have negative clams made against them and over many years people seem to indicate no or little progress. No one seems to seek any major act like expelling them because they serve a useful enough purpose to outweigh that. So I would expect the situation to be unchanged until one of them quits(like Joey) or retires(And from the recent ping sent out to non-active DD, this is not done unless prompted). Things have to escalate to an extreme before action (krooger,svenl). It is unnessary to point out that I do not know things you do. Out of the billions on this earth, less than 1000 people have any knowledge of this tiny, private world. Being in a position to know more, put you in a superior position, one which you should not use to throw stone from. Kevin, I do know all of that and I’m particularly aware of the lack of progress over the years. I invested lots of time this year to try to unblock the situation and it seems that my goodwill was not enough. So, yes, we need to escalate the situation, and the only sane way to do this is to propose a solution through a general resolution. This might lead to retirement or not, I have no way to know. I’m in touch with Sam on this topic, and we’ll see in the next few weeks if/how/when this will happen. I don’t want to throw stones at you, I’m just explaining you that you’re not helping me solve this problem with your advices… because I know the ins and outs better than you in this case. So it is finally the truth that volunteer work is (at first) work. And in work you have to commit to the work and not to social feelings. If you can’t do your work (volunteer or payed) because of social problems with others you should quit your work officialy or get kicked by officials (Who is responsible for this in Debian?). If this doesn’t happen, you get depressed and even worst, your acting depresses others too; and it has become a really big problem for the project (work or Debian) too. And yes. It’s even worse for volunteer projects. So be aware.